Ibiza seems to be, for many people, synonymous with summer and parties without end. But there is also a high level of winter tourism because this island always welcomes travellers looking to enjoy all its charm. Travelling to Ibiza during the winter has many advantages: -There are fewer people. We are not going to deceive you, in Ibiza there are always people, but during the winter everything is a little quieter. That’s why it’s the perfect time to visit museums or stroll through the most typical streets without having tides of people in all directions, just like in July or August. -The temperature makes walking more pleasant. Ibiza has a mild climate, during the summer it is hot, but it is not an oppressive heat. However, many people prefer not to move during the hours when the sun is higher because the heat along with the humidity can make walking tired. During the winter the climate is equally mild but it makes walking around more pleasant, for example you might like to stroll through the flea markets or to visit the key attractions. -You get taste of the authentic Ibiza lifestyle. Many Ibizan villages regain their true nature during the winter when there are fewer tourists. Walking around them at this time helps us to know much better what the true Ibiza and its people are like. A different experience that will make us forget that we are not getting as tanned as we thought during this holiday. -Enjoy nature. To be able to go down to semiwild coves without having two queues of people who try to do the same or to have a bike ride without it appearing that you are going on a mass cycling tour are just some of the pleasures that you can enjoy in winter. No matter if when you get to the cove you do not have a blazingly sunny day ahead of you, you can still take the most beautiful photos and see the best scenery practically without anyone else. -Enjoy the party. 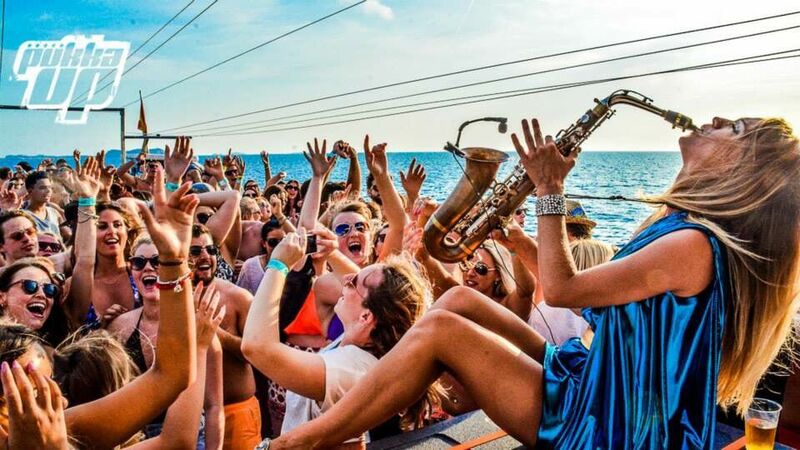 The party in Ibiza is not limited to the summer. There are parties throughout the year and the rooms and nightclubs do not stop working just because the temperature has dipped slightly. But there are fewer people queuing to enter, so you can spend even better nights out and also gain access to locales that during the summer can be complicated to enter due to the long queues that form and which you have to endure unless you are a VIP client. During the winter, everyone is a VIP in Ibiza.